Lenawee Community Chorus is where my own choral singing of major works began under the direction of Dr. Art Jones, Adrian College. It was in LCC that I sang my first oratorio solo and where I gained the self-confidence and encouragement to pursue my own degree in Music Ed as a non-traditional student at E.M.U! I am incredibly thrilled to serve LCC as their new Conductor and Artistic Director with a goal of giving back to them many rich musical experiences similar to those that were provided to me in the mid-1980's. The 2012 E3 award was presented in recognition of Lincoln High School's Choral Program for Extraordinary Educational Excellence provided to Lincoln High School choral students. Carillon Women's Chorale was founded and directed by Karen Nevins in 2001 and continue to perform today. Carillon's goal is to perform excellent treble literature of all historic styles and periods, while seeking excellence in the performance. Carillon is an adult auditioned choir comprised of musically literate women of all ages and professions who are seeking to improve vocal technique and choral skills. Auditions are arranged through the director (karen@karennevins.com) Aug/Sept and Dec/Jan. 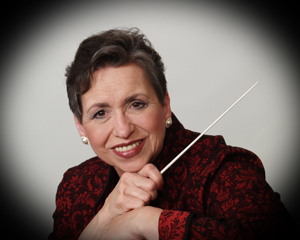 The audition process seeks women with enthusiasm and commitment for the choral art, healthy vocal technique and the ability to read music notation. Child care can be made available during rehearsals for a reasonable fee. Conducted weekly services and coordinated special holiday programs.